The 27th Ibaraki Prefecture Championship (Kata)was held at Ibaraki Budokan on 31st March 2019. There were Individual competition and team competition for children,youth and adult. Youth tournament was held in Mazandarn Iran. The 11th IKO Matsushima Indonesia interdojo tournament was held on Sunday 17 March 2019,in Gading Serpong,Banten Province. Some of the 175 participants did Kata and others Kumite in three separate arenas. The Inter-Club Karate Tournament: “Open tatami” was held in Russia On 31st March 2019. 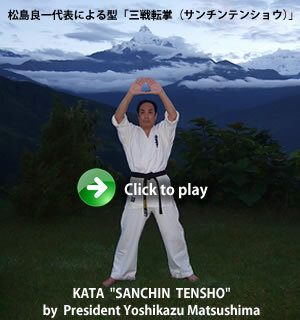 22nd National IKO-Matsushima Kyokushin Karate Championships was held in Pakistan on 23,24 March 2019.
International Open Kyokushin Karate Tournament 16th Domenica Cup was held in the city of Sveta Nedelja on March 9, 2019 in organization of I.K.O. 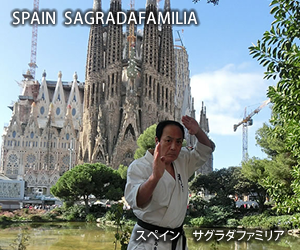 Matsushima Kyokushinkaikan Croatia and Kyokushin Karate Club Domenica Sveta Nedelja. The main sponsor of the tournament were the Mayor of the city of Sveta Nedelja Mr. Dario Zurovec. “Matsushima Cup-2019″ was held in Tyumen Russia on 17th march 2019. The Tournament was held in Tasmania,Australia. “4th KYOKUSHINKAI CUP SERBIA I.K.O. -MATSUSHIMA 2019″ was held in Serbia on 3rd March 2019. In 9.03.2019 during “16th Domenica Cup” in Croatia, IKO Matsushima Poland representation won in Kata and Kumite 8 medals: 2 gold, 2 silver and 4 bronze. Tournament on the map with girls “Cherry Blossoms”was held in Leningrad,Russia. Tournament on the map with girls “Cherry Blossoms” was held in Leningrad,Russia. On 8 March 2019 in the Karate club Kyokushinkai SATORI-DOJO held a tournament on the map with girls “Cherry Blossoms”. held a relay race with obstacles and tug of war. At the end of the event, the awarding and presentation of flowers to all girls-athletes took place. 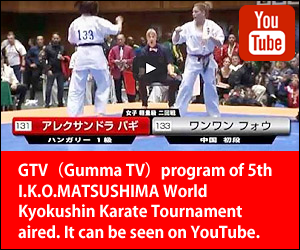 On March 2, 2019, the Georgian Kyokushinkai Karate IKO-MATSUSHIMA Federation hosted the Georgian Championship in Kyokushin Karate. 203 athletes participated. On February 22, Leningrad Branch(Russia)SATORI-DOJO held competitions dedicated to the Defender of the Fatherland Day, 80 athletes participated in competitions. “Baku Open” was held at the Shagan Olympic Sports Complex in Azerbaijan on Feb. 24, 2019, dedicated to the Khojali tragedy among youth and juniors. The Tournament was held in Isfahan Iran. Children Tournament was held in Amur Russia. The tournament was held in India on 9th February 2019. The 7th Open Championship was held in Kazakhstan on 27th January 2019. The tournament was held in India on 30th December 2018. Children’s tournament “Little Samurai-2018″ was held in Tyumen Russia on 23rd December 2018. The tournament was held Kazakhstan on 23rd December 2018. Ukrainian Open Kyokushinkaikan Karate Cup among children and juniors was held in Brovary on December 9, 2018. Ukrainian Open Kyokushinkaikan Karate Cup among children and juniors was held in Brovary on December 9, 2018. 250 fighters from many regions of Ukraine came to Kyiv region this year. Sportsmen fought in 30 categories. Main organizer of the competition was Ukrainian Kyokushinkaikan Karate Federation– Shihan Dmytro Volynets, and its Kyiv regional organization in the person of Sensei Andriy Gavrylyuk. The Children tournament was held in Ayaguz Kazakhstan on 9th December 2018. The Report from Russia Branch. International Matsushima Cup "The Middle East Open Championship" will be held in Tripoli,Lebanon on 7th April 2018 during Easter. The first seminar by President Matsushima was held on 17th May 2013 in Yangon,Myanmar. In the city of Shchyolkovo, the Moscow region opened new Dojo. I.K.O. Matsushima India and Sri Lanka joint venture ful contact kyokushin karate seminer with training camp and Grading test for seniors date on 26 th & 27 th April 2017. IKO Matshushima National Championship 4th Jacob Zuma Cup on 17th of November 2012 Saturday at UMlazi Sport Centre South Africa KwaZulu Natal Province.